In this month’s Labnext newsletter, we’re going to review Shipping Labels, Case Approvals, Try In, On Hold and Tagging Cases. Does your lab pay inbound UPS shipping for all, or some, practices? 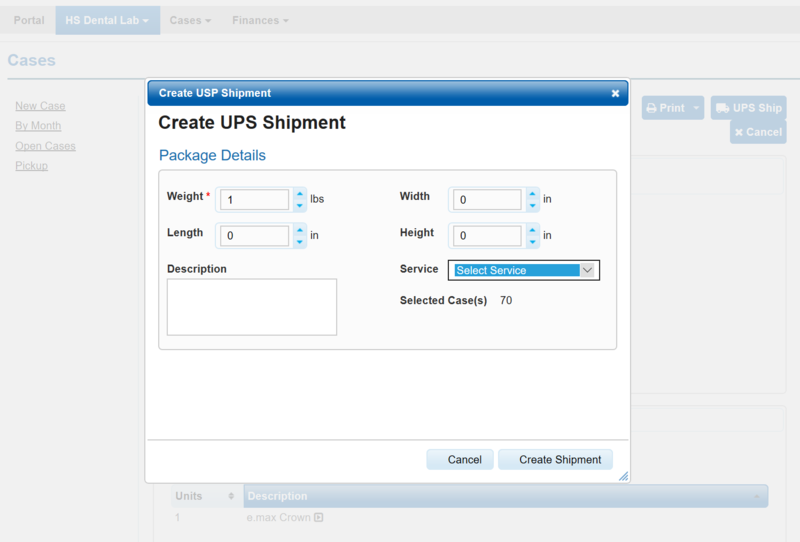 If so, we’ve added the ability for practices to generate UPS shipping labels during their DDX case creation. You no longer need to distribute shipping documents to your accounts. Complete the DDX Rx for their case. Add shipping details for the case. Print the DDX Rx for inclusion with their case and the UPS shipping label. A greatly streamlined workflow for your practices. 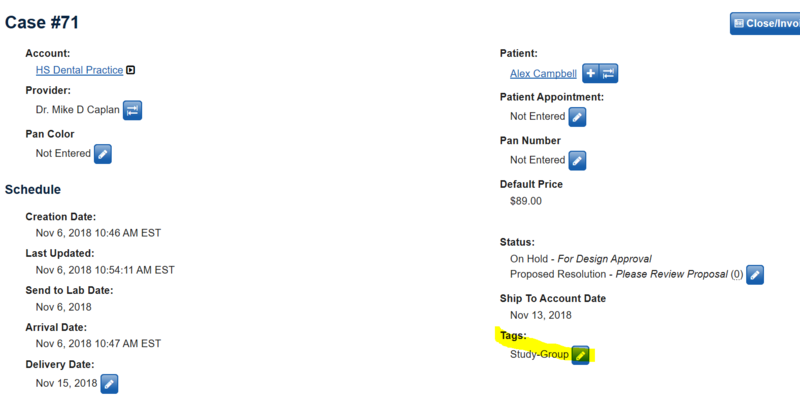 Your lab benefits by not having to send shipping labels to your practices and you can limit the shipping service that is available to the practice to control your expenses. Go to the Labnext Store and enable the UPS add-on. Allow UPS Assigned DDX Accounts To Ship To You must be checked. A UPS shipping service must either be the default lab shipping service, or the default practice shipping service. This default shipping service will be the only level of service that is available to the practice. Select the Try In icon during case entry. Select Mark as Try In from the Actions menu for an existing case. Labnext / DDX will automatically flag a case for Try In when it is able to detect that a try in is likely required based on the case procedure. When a case is ready to be sent to the doctor, go to Actions and choose Send for Try In. The case is automatically placed On Hold and will be visible in the portal widget and case list. If you wish to bill for the work completed, go to the case and select Close/Invoice Case and check Related Case. This will invoice the current case and initiate the setup of a new case. On hold cases are those that are not progressing through production. Examples include: bleaching; missing shade; new impression needed; or try in cases. The Cases On Hold Widget on the portal page and the On Hold case list provide visibility into these cases for tracking and management. 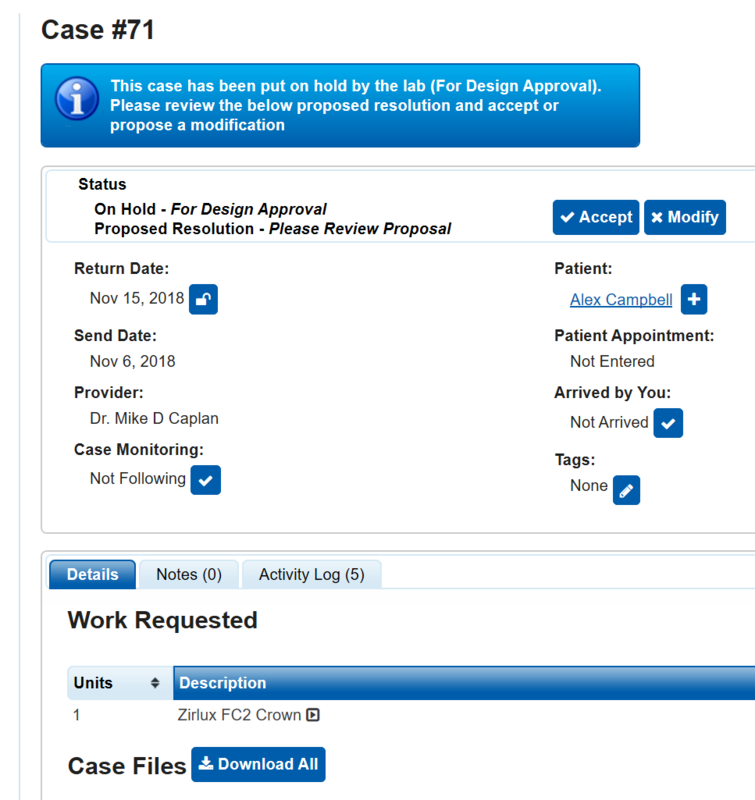 We’ve added case approvals into the Labnext / DDX case workflow. 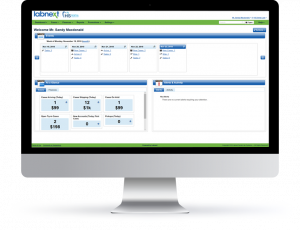 Valuable functionality that allows you to manage this common workflow within your lab management software. Create the appropriate On Hold types and select Proposal Workflow. Define the appropriate Account Proposals. Account Proposals represent the types of back-and-forth that the proposal might go through. For example: New Proposal; Review Updated Proposal; Call Customer Service to Discuss Proposal. Go to the case in Labnext. Place the case On Hold with the appropriate On Hold type and Proposal type. When the practice logs into DDX their case will appear as being On Hold. When the practice opens the On Hold case they will be prompted to Accept or Request a Modification. If they want a modification, they must enter notes to detail the needed changes. If the practice has requested modifications, there will be ‘-#’ beside the Labnext case status. This indicates the number of times the practice has asked for this case to be modified. Case Tags allow you to track a case with your own categorization system. Examples of this might be Call Doctor, or a case classification such as Study Group. If you’ve linked an intraoral scanner to your Labnext account, those cases will automatically be tagged: TRIOS, Romexis, Sirona, iTero, True-Definition. You can tag a case during case entry or edit an existing case to add a tag. Note that tags are not case sensitive, and tags do not support spaces. To view a list of tagged cases, go to the appropriate Case List and filter by the desired Tag.